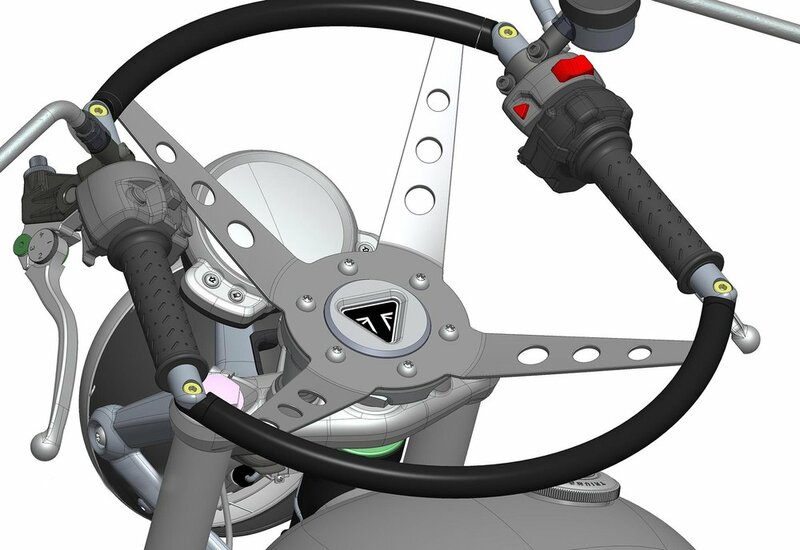 Iconic British motorcycle brand, Triumph, has unveiled a new steering wheel attachment - to attract more car drivers. Dubbed the HandleWheel, the new contraption can be fitted to any of Triumph’s range of bikes. Replacing conventional handlebars, Triumph hopes the HandleWheel will help ease congestion and improve air quality across the UK by enticing more motorists to switch from four wheels to two. Allowing new riders to steer their bike as they would a car, the device will also feature the Triumph Rider Intuitive Control Keys (TRICK) system, a pioneering feature that enables the rider to control switches through voice commands, including lights, indicators, emergency kill switch and horn. Designed to be smaller than a standard car steering wheel at 260mm in diameter, the HandleWheel provides an intuitive, responsive turning action and ensures the model it is fitted to retains its exciting, sporty feel. Triumph Motorcycles UK & Ireland general manager, Paul Lilly, said: “We are realistic enough to understand that it can be a daunting prospect for car drivers to climb on to a motorcycle and learn how to ride. 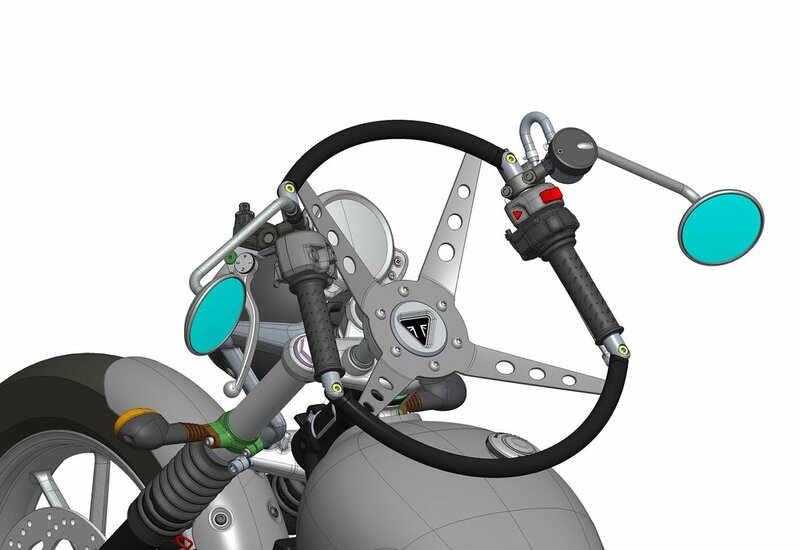 We want to make that transition as easy and swift as possible, so our design team, always at the forefront of motorcycle development, came up with a solution. The benefits of motorcycles for everyone are clear. For the rider, bikes are more economical because they use less fuel than cars, more efficient because they aren’t hampered so much by congestion and, let’s face it, more fun. The HandleWheel will be available as a £300 option (not including fitting costs) on all compatible Triumph models and will also be available at training centres across the UK, meaning that novices can complete riding lessons and take their test using the new device. Existing Triumph owners will also be able to have their bikes converted to accommodate the accessory.